Researchers claim to be able to hijack cell-phone data connections. In a presentation at Black Hat Europe, a computer-security conference in Amsterdam, a group of researchers claimed to have found a way to hijack the data sent to and from mobile phones. The researchers say that the attack might be used to glean passwords or to inject malicious software onto a device. 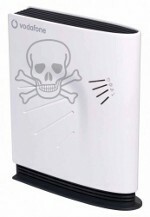 The new attack relies on a protocol that allows mobile operators to give a device the proper settings for sending data via text message, according to Roberto Gassira, Cristofaro Mune, and Roberto Piccirillo, security researchers for Mobile Security Lab [www.mseclab.com], a consulting firm based in Italy. By faking this type of text message, according to the protocol an attacker can create his own settings for the victim’s device. This would allow him to, for example, reroute data sent from the phone via a server that he controls. 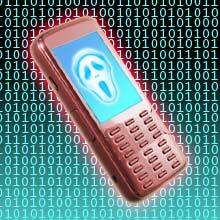 The researchers say that the technique should work on any handset that supports the protocol, as long as the attacker knows which network the victim belongs to and the network does not block this kind of message. Some trickery is required to make the attack work, however. Ordinarily, to transfer settings to a device remotely, a mobile operator will first send a text message containing a PIN code. The operator will then send the message to reconfigure the phone. In order to install the new settings, the user must first enter the PIN. So an attacker would need to convince a victim to enter a PIN and accept the malicious settings sent to the phone. But Gassira, Mune and Piccirillo believe that this shouldn’t be too difficult. The attacker could send text messages from a name such as “service provider” or “message configuration,” suggesting that changes to the device’s settings are needed due to a network error. For many handsets, they say, the results of the configuration aren’t shown to the user, giving the victim little chance to notice that anything is amiss.